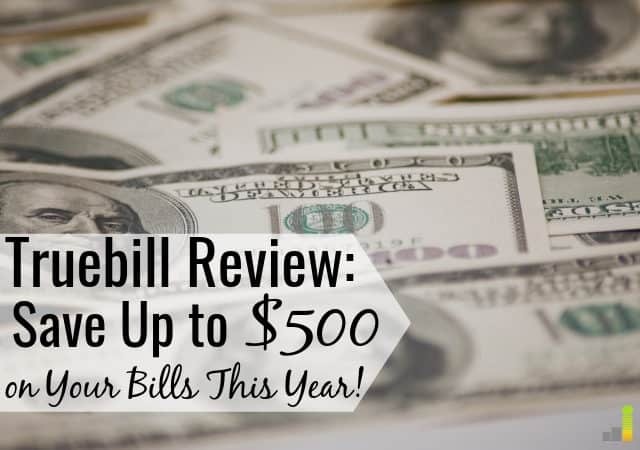 Truebill Review: Save Up to $500 on Your Bills This Year! Automating your bills is a great way to simplify your finances. It saves time and ensures all of your bills are paid on time. This can be a lifesaver when you’re busy or don’t have the time to pay your bills manually. The one downside is overlooking savings opportunities. However, a service like Truebill lets you mitigate that risk without giving up savings. Despite the misconception that bills can’t be reduced, one of the best ways to save money on services is by negotiating lower prices. If negotiation isn’t something you like to do, the Truebill app, and others like it, can do that work for you. According to Truebill founder Yahya Mokhtarzada, Truebill saves users $500 a year by cutting unused services or negotiating lower prices on those you do use. Mokhtarzada created Truebill after finding out he was paying $40 a month for in-flight WiFi and he didn’t even know it. 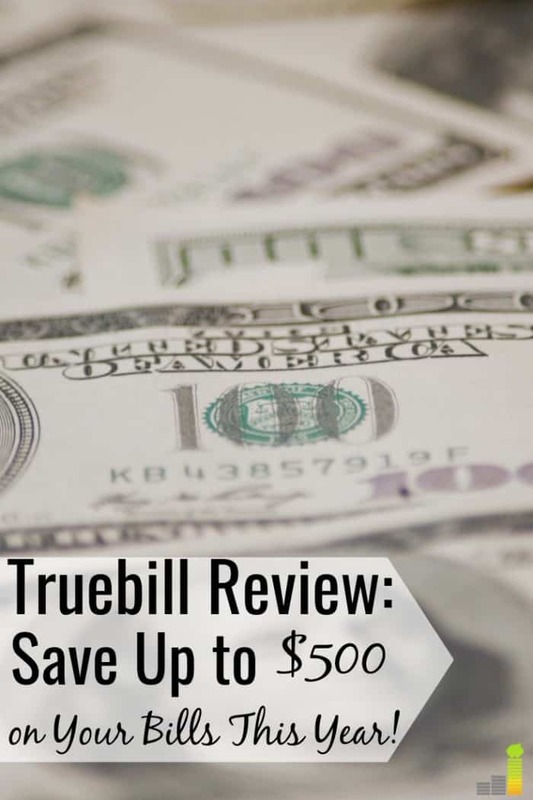 If you want to save more money this year, our Truebill review shares how the app can help you accomplish that goal. When you download the Truebill app, it syncs with your bank accounts and credit cards. Once done, the app works to find and cancel unwanted subscriptions, lower bills, and get reimbursements on fees. Since 2015, Truebill has helped people save a total of $14 million. Basic service with Truebill is free, but when Truebill helps you reduce your bills or get some fees refunded, it takes 40 percent of the annual savings. For example, If Truebill finds $200 annual savings for one bill, it keeps $80 of that savings. While you can do the negotiating yourself, it’s no guarantee you’ll get the same savings. It also saves your time so you can focus on other important things. The app works as a personal assistant to help you get your finances back on track. The most enticing thing about the Truebill app is its ability to help you save, so let’s dive deeper into that. Truebill works by negotiating with retailers for a lower rate on your bills. You simply enter your bill information or snap a photo and Truebill goes to work. The app doesn’t downgrade your services, but you receive either a better rate or a one-time credit applied to your account. Sometimes we forget about those minimum payments on our credit cards. While some companies send you reminders that a bill is due, it’s still easy to forget. We’re humans and sometimes things slip our minds. However, forgetting a minimum payment can result in a late fee, which is usually between $25-$40 depending on the card issuer. Truebill can notify you when you missed a payment and works to help you get it refunded. According to Mokhtarzada, the app is successful, with 85 percent of bank fee refunds for customers. After linking your accounts, Truebill recognizes which transactions from your account are recurring and how much you pay for each service. This information is curated and presented to you in one place, and it gives you a chance to think about whether all of the subscriptions are worth it. My husband and I decided last year that the $120 we were paying a year for Hulu wasn’t really worth it to us anymore. That added up to a lot of money throughout the year, plus we already had one streaming service to keep us entertained. You may feel the same way after seeing how much you pay annually for some of your subscriptions. If you decide that you want to cancel your subscription, Truebill provides you with step-by-step instructions to follow. You will also be given a link to the website to cancel. They take it a step farther with gym memberships. Since most gym memberships have to be canceled in person, the app can send a certified letter for you. This saves you both money and a trip to the gym. If you’d rather have Truebill cancel a subscription, you can do that with Truebill Premium, which is covered later in this review. If you have cable or internet service, you know it’s possible to lose service due to bad weather. This is not a good feeling, especially if you rely on the internet for work or entertainment. Slash Your Cable Bill. Try Hulu with Live TV! Are you paying too much for cable? Save big now by switching to Hulu With Live TV! Get 60+ channels, DVR, locals, ESPN, HGTV, Disney, CNN, Fox News and more for only $44.99/month. Get your 7-day free trial now! Truebill helps you monitor these outages and can request an account credit if you lose service in your area. Truebill states that they save users about $100 a year due to this service. This option is available only in areas of the country where energy is deregulated. If you live in one of these areas, the Truebill app looks for the lowest price per kW of electricity to help lower your energy bill. This can result in savings of up to 30 percent on your electric bill, according to the service. Another great feature of this app is that it breaks expenses into different categories and analyzes them. Organizing your money in a manner like this gives you the best idea of what’s happening with it. How much does Truebill cost? The premium service costs $4.99 per month, or $35.99 if you pay annually. The premium service adds additional features like actually canceling services for you instead of you having to do it manually. Safety is an understandable concern with any service that has access to your bank or credit card information. The Truebill app uses bank-level 256-bit encryption. The service only has read-level access of your information, so nothing can be changed with your financial accounts. Truebill does not sell your data, and if they want to, they must ask your permission first. While similar, they do offer different features. For instance, Truebill offers electric savings and downtime monitoring. And Trim has a new debt payoff program that helps users pay off debt and negotiate lower APRs on their credit cards. Both services charge you a part of your savings as cost. Truebill collects 40 percent of your savings, while Trim collects 33 percent. Trim also asks you enter a verification code anytime you log into their website. Check out our Trim review to learn more about how it differs from Truebill. The Truebill app is not perfect but it does offer some helpful tools to help you save money. Overall, Truebill is a pretty solid app. It does what it sets out to do, which is help you save money, eliminate unwanted bills, and reduce the time associated with having to do it yourself. The app is a fair alternative to Trim. While Trim offers cancellation services for free, their offering is a bit more limited than Truebill’s. And although Truebill takes a higher percentage from the savings on your bills and subscriptions, it is a more robust app. Despite the small fee they take from your savings, if Truebill helps you save a noticeable amount of money and you’re putting in little effort, it’s worth a try. How often do you negotiate lower prices or cancel services you don’t use? Does it concern you to let an app have access to your banking information? What’s one bill you’d love to cut this year?